For more than half a century, Spain’s tourist fame has rested mainly on its sandy beaches, warm waters and dependable weather. 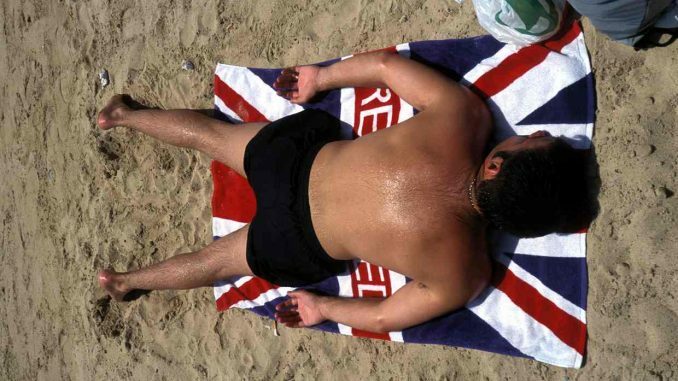 But despite record-breaking visitor numbers over the past 12 months, there are fears the sun could slowly be setting on the country’s traditional approach to attracting foreign holidaymakers. Although Spain is predicted to have welcomed 75 million tourists by the end of this month – up from 68 million last year – the surge is not quite what it seems. The increased numbers are due less to any particular Spanish strategy than to the fact that terrorism and instability have driven millions of holidaymakers from Egypt, Tunisia, Turkey and France. According to the Confederation of Spanish Travel Agencies (CEAV), almost 10% of this year’s tourists are “borrowed” from competing destinations around the Mediterranean. The other problem is that although the overall tourist numbers are up, the average amount they are spending is down, falling 2.2% among European visitors between January and July this year. Add to that fears that some popular destinations are becoming saturated with low-spending tourists whose numbers and behaviour are raising local hackles, and questions are once again being asked about the efficacy of Spain’s decades-old sol y playa (sun and beach) tourism model. A recent report from Ernst & Young noted the declining average spend and recommended that Spain “reorientate its strategy” to attract higher spending “premium” tourists from Europe and beyond rather than continuing to rely on those looking for a cheap break. Philip Moscoso of Spain’s IESE business school discerns “a few shadows lurking among the good news” and says it is time to rethink Spain’s approach to tourism. “In some places, such as the Balearics and Barcelona, we’re starting to see a saturation point where the parts of society begin to feel a little overrun by the tourist hordes. He points to anger at tourists who cram into tiny rented apartments and spend little money on anything but alcohol and going out, or those who head to Ibiza and stay up for three days without booking into hotels. Moscoso argues that although Spain is working to attract higher spending visitors by sprucing up some of its more dilapidated destinations, it also needs to invest more in promoting its interior and culture. Josep Valls, a professor in the marketing department of the Esade business school in Barcelona, said that moves to overhaul the Spanish tourism sector should have begun two decades ago, but were stymied by the influx of holidaymakers abandoning the former Yugoslavia for Spain during the 1990s, and further thwarted by terror attacks on tourist resorts and the uncertainty brought by the Arab spring. However, he said that the concept of innovation is now “working its way into the DNA” of the Spanish tourist industry as it increasingly embraces gastronomy, sport, culture and wine to draw overseas visitors. Rafael Gallego, president of the CEAV, agrees that more needs to be done to attract tourists with deeper pockets and to promote the country’s wider charms, but insists that the costas will remain the engine of the Spanish tourist economy for a long time. Moscoso says that Spain simply cannot afford to take its sunny, sandy allure for granted. With so many guests “borrowed” from other destinations and Brexit raising questions about the future of Spain’s single greatest source of foreign visitors, urgent thought needs to be given to the tourist sector, which accounted for more than 11% of Spain’s GDP in 2015 and which is predicted to grow by 4.4% this year. “It’s a bit like the situation is with people’s health. As long as you don’t notice any symptoms, you don’t go to the doctor. You know that you should stop smoking, take more exercise and eat more healthily – but you only go to the doctor when the problems start.